There’s a new major at Texas Christian University in Fort Worth dedicated to shining a light on issues around race. It’s part of broader efforts at the university, where students of color have raised concerns about the campus climate. TCU launched the new Comparative Race and Ethnic Studies program this past fall with two introductory classes aimed at equipping students with tools to analyze how race and ethnicity play out in politics, culture, and society — and giving them a grounding in literature from and about marginalized communities. On the last week of class of the fall semester, students in one of the intro classes gave group presentations on African-American college athletes, the experiences of students of color at TCU and on racial health disparities. There’s another goal to this class and the new program in general: to help students build cultural competence, said Lynn Hampton, a sociologist in the honors college who teaches the intro course. “A lot of them are coming from high schools that are homogenous – racially, economically, culturally, religiously – and so their prior exposure to engaging in conversations with diversity-related issues is limited,” Hampton said. The modern ethnic studies field emerged in the late 1960s amid the civil rights movement, based on the notion that Latino literature or African-American experiences or Native American history are worth studying. Since then, the field has professionalized, and grown more global and more complex, focusing on the way gender and sexuality and disability intersect with race and class and ethnicity. Max Krochmal, a history professor and director of the program, said the presidency of Barack Obama brought new urgency to the field. “What we’re seeing now … is sort of a third wave of ethnic studies programs that are trying to grapple with this moment we’re in, where even although the laws have changed, there still continues to be clear differentials and durable racial inequality that have not been eliminated,” Krochmal said. The student body at TCU is overwhelmingly white, but has been slowly growing more diverse. Today, white students make up about 69 percent of the student body. Fort Worth, by comparison, is 41 percent white. Lynn Hampton said she expected some students to struggle with potentially uncomfortable conversations about difference, so she tried to encourage students to think of her classroom as a “brave space” as opposed to a safe space. The idea, she said, was to get them to take risks and push past discomfort in order to genuinely engage with ideas that might make them squirm. Disagreements, she said, were to be expected. For Tymerra Coleman, who took the intro course, this program couldn’t come soon enough. The African-American sophomore said adjusting to life at TCU was a big change from the much more diverse high school she attended. “When I got to TCU, it was a huge culture shock, just because people are racist, people are discriminatory, people do have bias,” Coleman said, adding that the shock catalyzed an interest in social justice and led her to change her major to Comparative Race and Ethnic Studies. Brandon Kitchen, a junior journalism major, wants to see the introductory Comparative Race and Ethnic Studies course he took last semester become part of TCU’s mandatory curriculum for all students. Kitchen said he’s regularly the only black guy in the room in class and other campus activities, which often means people turn to him to explain race or racism. In recent years, students of color at TCU have been raising concerns about the campus climate, from racist rhetoric on social media to posters that showed up on campus with white supremacist messages. It’s not clear those posters came from students, however. Students of color have also pushed back with protests and a social media campaign. In 2016, a group of students sent a letter to the chancellor describing a campus culture that felt hostile and alienating, and demanding change. The university has responded with a range of efforts to be more welcoming to people from all walks of life. 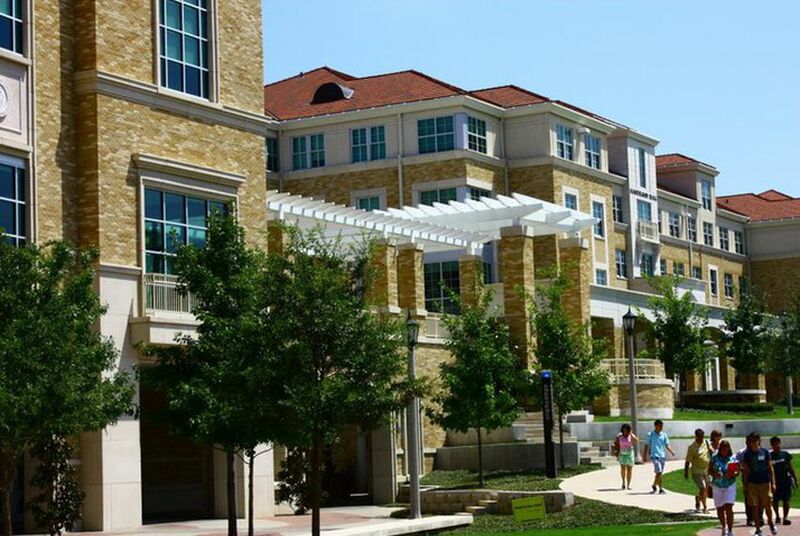 Last year, TCU added a cabinet-level Chief Inclusion Officer. The school also created a diversity, equity and inclusiveness committee and gave it a broad charge to change campus culture. Krochmal said some 30 students have already declared a major or minor in Comparative Race and Ethnic Studies, and the school doubled offerings of the intro class this semester, all of which filled up. The next big step, Krochmal hopes, is to turn Comparative Race and Ethnic Studies into a full-fledged department and research institute. He said that would put TCU on the map. “If we really do continue investing in it, I think we can position ourselves to be a center within Texas and the Southwest doing this work,” he said. Editor's note: This story first appeared at KERA News.